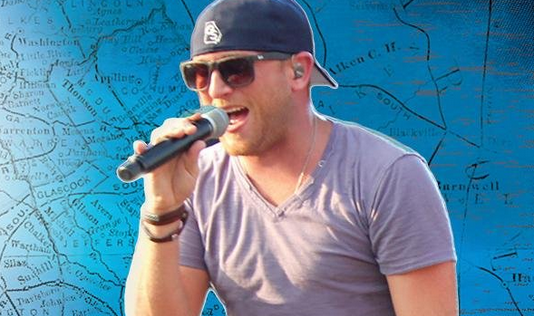 What do you think of this new one from Cole Swindell? Not many artists have kicked off their careers with two number one hits. That’s exactly what Cole Swindell has now accomplished in his budding career. His first single, Chillin’ It, was one of the biggest songs of the year and reached the top spot on the Hot Country chart. And his followup, Hope You Get Lonely, recently topped the Country Airplay chart. It’s a tough task to follow, but I think Cole has picked another song that could make a run at the top spot. Here is a preview. Great song. As Cole explains, it’s a denial song. This guy is out there drinking with his buddies. He’s trying to forget about this girl that broke up with him or something like that. Something happened and he’s missing her, but he’s trying to convince himself that she was never worth it. That’s a coping mechanism that we sometimes go through and if you’ve ever gone through a breakup you’ve probably had feelings like this. The trouble is that today we can get in trouble because it’s easy to have a few drinks and shoot off a text to your ex. Don’t do that. But what I love about this song is that it’s yet another killer melody from Cole. He has been one of the nice surprises the last year and he sure knows how to find those clever melodies. Great song and I think it has a shot at the top spot on the charts. What do you think?